Meet our latest good cause – Dawn! A young mum from South Wales who is currently battling the big C.
The statistics show that unfortunately Dawn is 1 in 8 women in the UK that will develop breast cancer in their lifetime. It claims the life of around 11,400 people each year in the UK. But Dawn is more than a statistic to us and her story has touched us. In November 2014, Dawn was diagnosed with grade 3 triple negative breast cancer. Following a double mastectomy, hysterectomy, chemo and radiotherapy, the all clear was given in August 2015. March 2017 bought the devastating news that a lump was confirmed to be the return of the cancer. This time, the cancer is incurable. 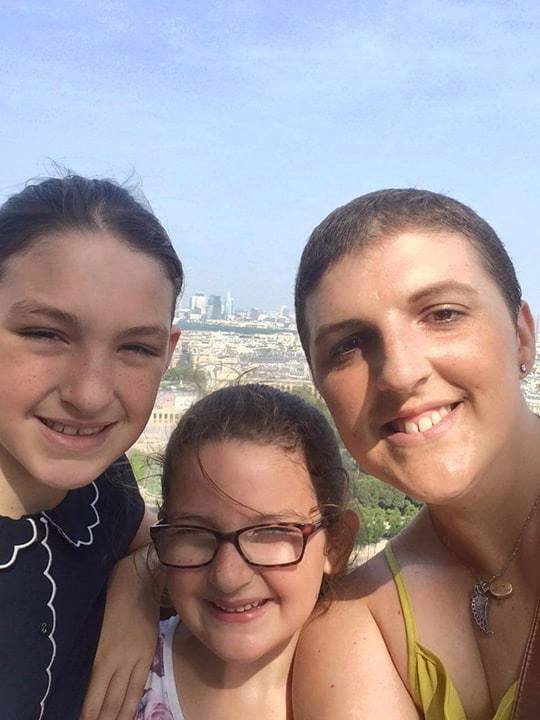 While undergoing treatment, Dawn and her husband aim is creating memories for Dawns 2 young daughters and this is where Kicking Off Against Cancer wants to help! We will be sending this lovely family for a day of making memories thanks to money already raised at our events. Click here to find out more https://www.facebook.com/ITVWales/videos/1584511961595990/, and please tune in on to watch their full story!